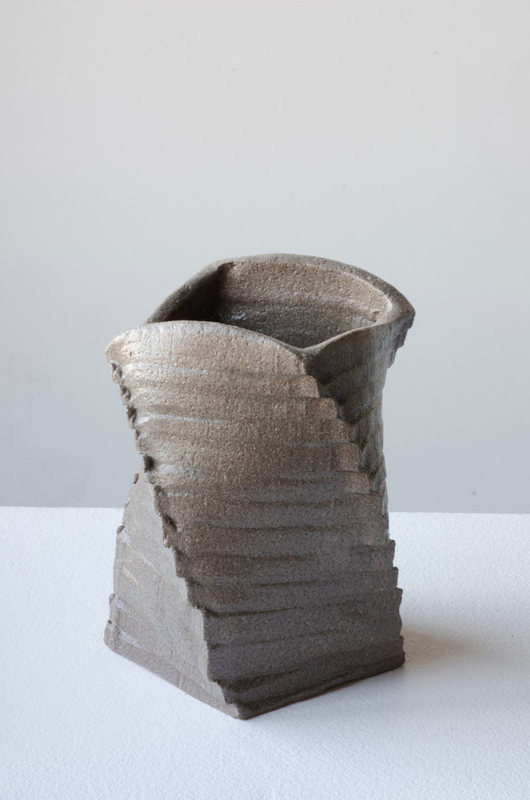 Making pots and vases is common with the use of clay. You know, the famous scene from the movie Ghost that made other people fall in love and also seemed to increase the interest on pottery (just a thought). 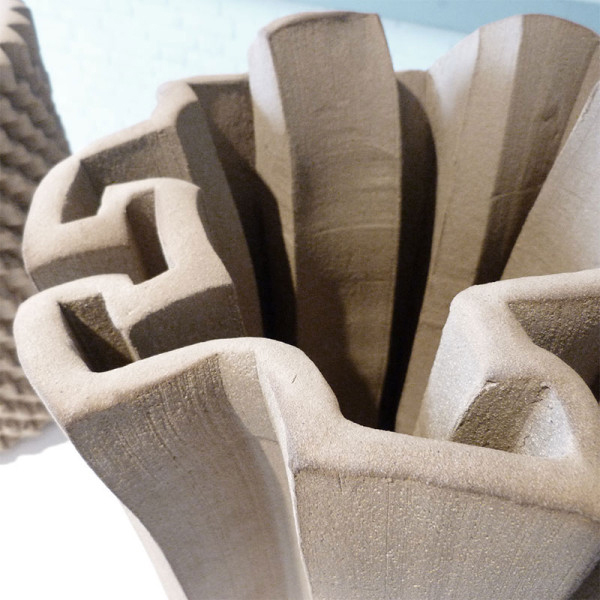 From old times until now, clay is still the primary material in making pots and vases. 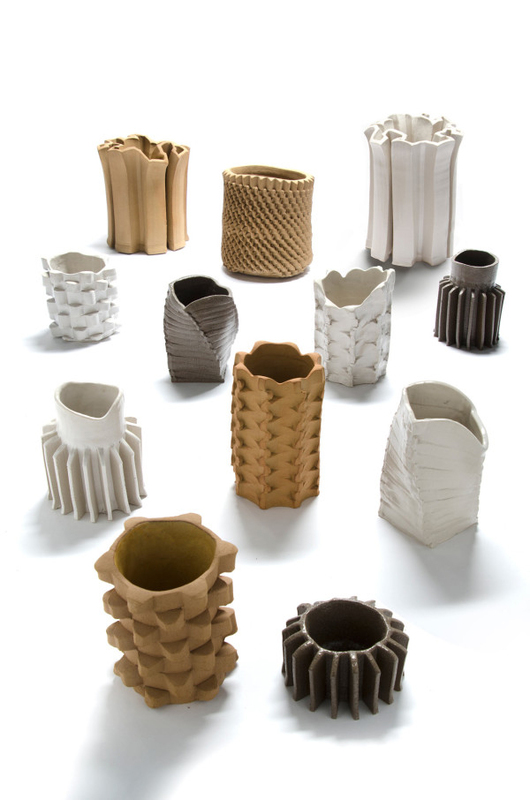 We are going to feature some beautiful vases today made from that material and you can see how these were made. 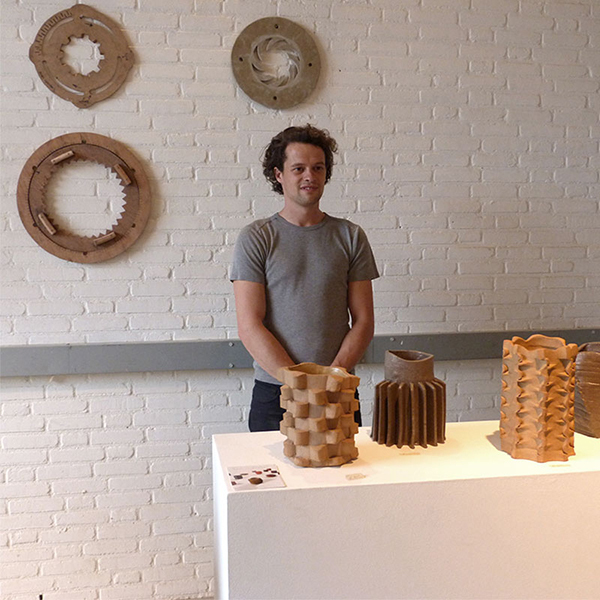 Designer Floris Wubben is happy and proud of his vase designs. 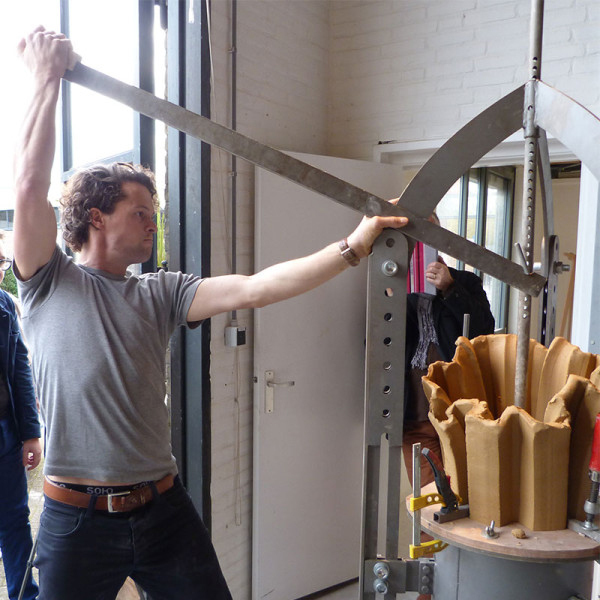 The first step in making the Crown Vase is to shape the clay so it fits into the machine using about 25kg of clay. 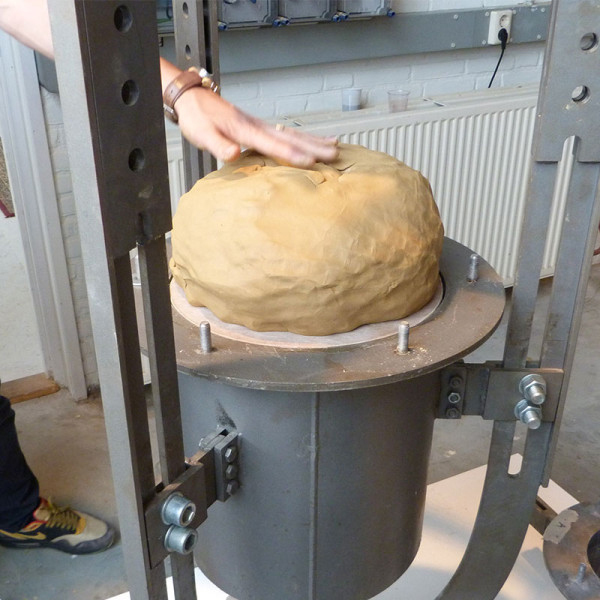 The clay is placed on the pressing device. 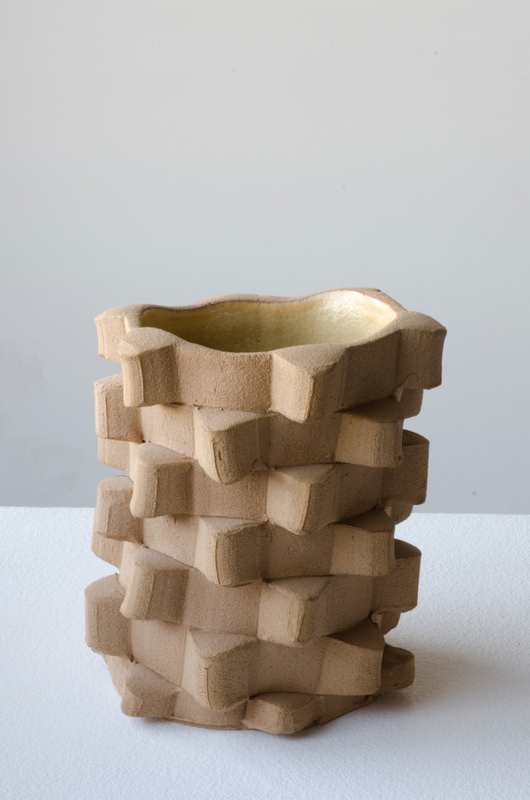 A wooden profile that will give the vase its shape is placed on top of it. 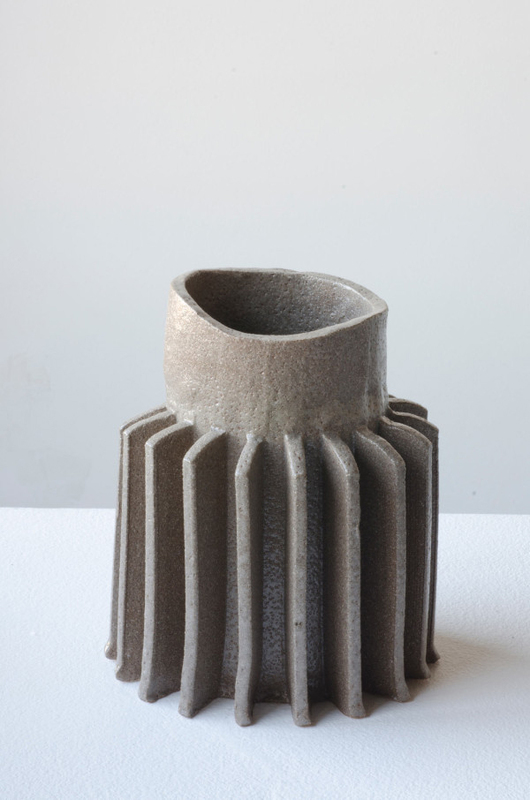 The vase is slowly formed in the machine and comes out from the profile. 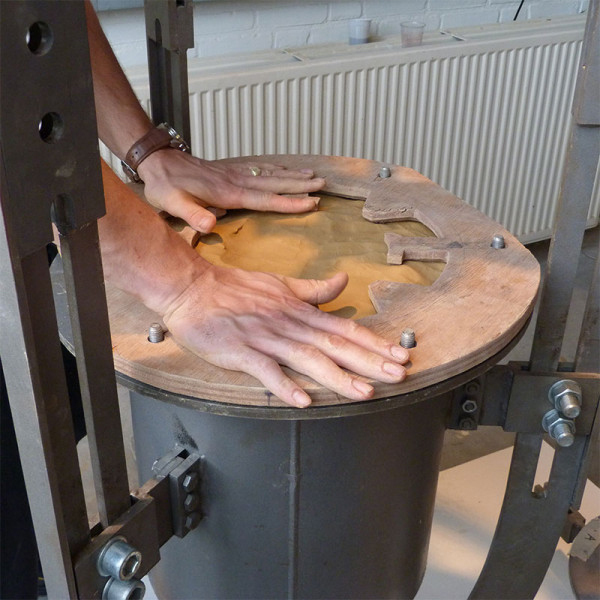 He pumps the press by hand, forcing the clay up through the profiles little by little. 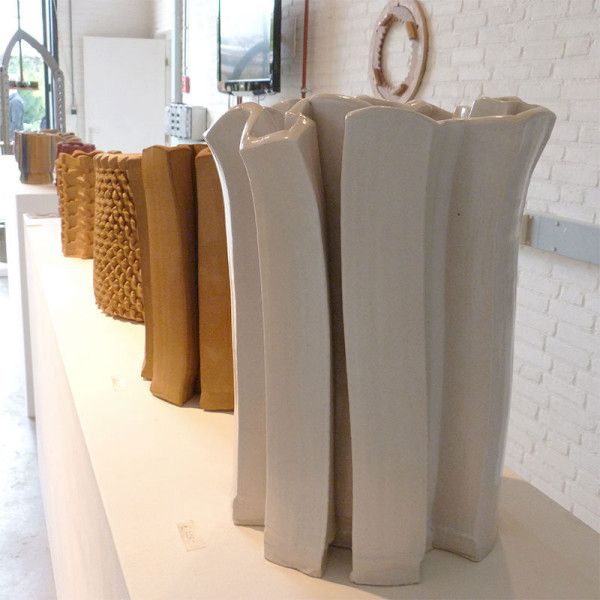 Here are the different designs of the vases made by Wubben. They sure are lovely! This one has a different profile which seems to resemble some gears on top of each other. This is how the Crown Vase looks like when done. A closer look at the brim of the vase. Lovely, right? The crown vase is wider on top and smaller at the bottom. 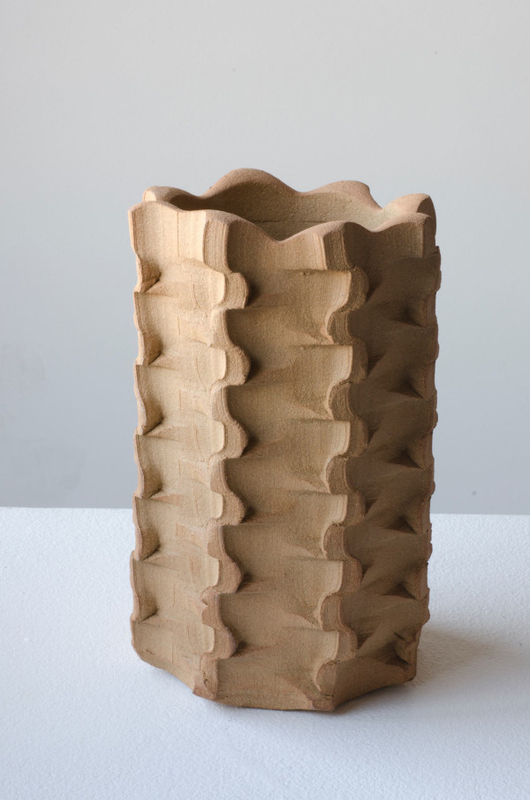 A vase with wavy designs on the sides. While this looks like some creature.Lol. But it does look nice, though. 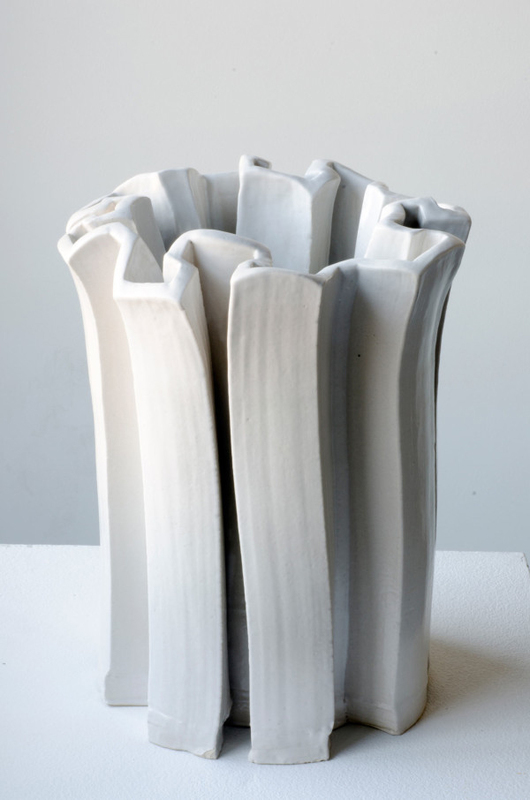 A vase with a look that appears like twisted. 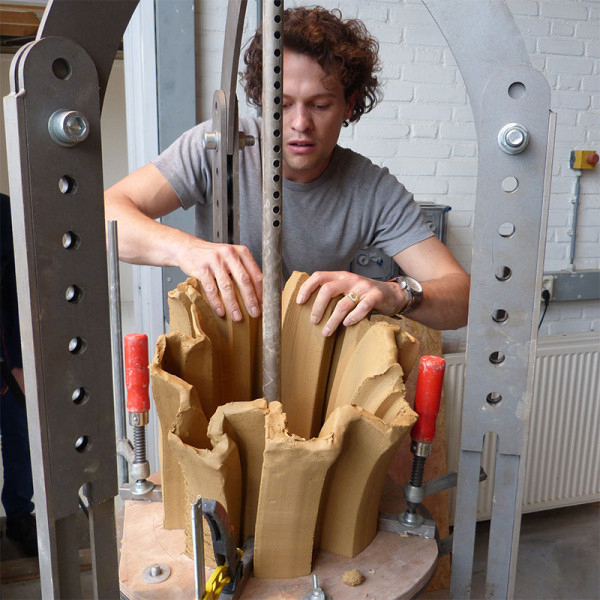 Designer Floris Wubben said that “Because the human touch is involved in this process, because I pump the press by hand, each vase is a unique piece. But it’s still made with machinery.” It is indeed amazing when one piece is made with love. It turns out unique and yes, well-made because it came from the heart.